This is a thought experiment seeking if it is possible and what it would take to increase the production rate of SLS. The second part is what effect on unit cost would this have? The justification for such higher launch rate/production rates is a separate question. From all the work to optimize at 1 per year, says that all the projections on launch rate does not go over 2 per year and averages to 1 per year over the period of through 2030. At an average of 1 per year starting after 2021 (EM-2)the projection is that only 8 more SLS launches would possibly occur through 2030. If the program lasts through 2030 then only 10 SLSs will be built and fly between now and 2030 (15 years period). In that 15year period it is possible that a large commercial launcher (>=100mt) or other demonstrated capabilities that could do the same with smaller amounts (distributed launch) could come into existence. If the high launch costs are what is controlling the launch rate what would the launch rate be if the per launch costs were 1/2, 1/4 or even 1/10 of that of the SLS. The new estimate is that it takes over 3B/yr to fly SLS/Orion from 2018 to 2027 for SLS/Orion yearly solo shots. It then takes over $8B/year per the NASA budget to fly the SLS 2028 to 2046 mission set as it includes ISS Splashdown and abandons commercial crew. (Space Ops 3.83B, Exploration 4.35B, Crew 0.8B, R&D 0.42B). With only a flight per year in the early 2020s, it also adds $1B/yr Delta Heavy flights. If you start with the wrong architecture and LV/components, so much for afforadability and sustainability. Do you have a breakout for the $3B 2018-2027? 15 (2013-2028) years at $3B per year for a total of 8 flights is $45B or $5.65B average per flight costs including development. (Must add development costs to compare against pure commercial but then again there are few true pure commercial developments). Removing development costs (6 years and the first flight) gives $3.8B average per flight costs. Actually it doesn't need any contracts to keep the production line open and the launch facilities in place. The DoD pays ULA $1B (that's "billion" with a B) cash each year to do just that - no launches required and no strings attached. That payment is being phased out. The only way to know if you're saving money on something is to know what the costs were before you were saving money, and then compare that to what you're now paying. And since the SLS is a completely new design, with new tooling and a new contractor (Shuttle ET was LM, SLS is Boeing), there is no way to know what any costs might have been if they hadn't done what is actually their job - to build a quality product at the lowest practical cost. Claiming cost savings without a basis of comparison is pure advertising, not facts. If you disagree, then please point out what the costs were supposed to be before they implemented the supposed cost savings. Give up on trying to figure out "marginal cost". There are no facts to use to calculate it. No one in the public has enough facts about the cost of the SLS. And stop trying to equate the manufacturing cost of the SLS to the Shuttle External Tank. The SLS 1st stage is 3.2X more mass than the Shuttle External Tank, and it has obvious design differences. Plus the Shuttle ET was built by Lockheed Martin in serial production over a period of decades, whereas the SLS is being built by Boeing and it's just starting to get the tooling to work. Give up on trying to figure out "marginal cost". There are no facts to use to calculate it. 93143 has provided sources. They give us a rough idea about the marginal cost. We also have the "official" $500m number from NASA. Rather than advising people to give up, it's probably better to help the questioner see that their question might somehow get better answers if it were phrased differently. I wonder, for example: "What would be the cost of accelerating the SLS production and flight rate from one every 12 months to one every 10 months?" That asks a question similar to one about "marginal" costs, though ... not quite the same. This isn't the first time anyone has designed a launch vehicle like this. NLS-1 made it through PDR, and a lot of information is available publicly. DIRECT's Jupiter was heavily studied and cost projections were made over a spectrum of flight rates for various configurations (I linked a graph earlier in the thread, if you'll recall). And early versions of SLS were put through NASA's cost-estimating machine to produce (among other things) the ESD Integration Budget Availability Scenarios document from 2011, with costs based directly on Shuttle where applicable - including core stage costs being based on the ET. The idea with Jupiter and proto-SLS was that the ET tooling and workforce would be reused to build core stages. Similarly, the boosters were assumed to be done the same way they had always been done, before ATK's Value Stream Mapping exercise; the ESD Integration document based booster costs on the Ares I first stage, with no mention of cost savings associated with the "competitive booster" (which would have been hard to estimate at the time, since no proposals existed). The ESD Integration document also mentions the RS-25E, but there is no indication of any cost savings associated with it either; the RS-25 costs are simply said to be based on the SSME. So the cost estimates I showed you earlier in the thread were exactly what you just asked for. And stop trying to equate the manufacturing cost of the SLS to the Shuttle External Tank. I am not doing that. I am comparing MAF's sub-1000 SLS workforce with its ~2500-man STS workforce, with the intent of implying that the increase in workforce required to operate Boeing's advanced low-rate automated production equipment at full speed rather than half speed is unlikely, by itself, to account for a large* difference in marginal cost vs. using the old Shuttle tank production equipment with the full workforce already present. A similar argument applies to the boosters. * You seem to be implicitly defending the idea that the SLS marginal cost to go from one launch per year to two could reasonably be as high as $1B. What I am saying here is that the workforce delta alone is not going to bridge the gap between the numbers I've shown and the numbers you're trying to imply are plausible. We also have the "official" $500m number from NASA. Has that number ever been shown to be a marginal cost estimate for SLS? I thought people just started assuming it was because they couldn't imagine it being anything else. Your account doesn't seem internally consistent, given what I know of industrial production. The second paragraph, as well as the first couple sentences of the first one, make plenty of sense if you're talking about some kind of incremental or marginal production cost. But later in the first paragraph you add overhead associated with extra production equipment to "unit margin costs" to get unit cost, which implies total cost, which in turn implies that you're claiming that the total cost of having and running the facility at MAF would be more than twice as high at two cores per year as at one core per year. And if that's what you're claiming, well... citation needed. Also, I hear there's plenty of floor space at MAF, so I'm not sure why it would be impossible to set up for rates between 2 and 5 per year. Is this inside information you're supplying? No actual contracts have been signed for building a production SLS, and the discussion has been about the "marginal costs" for production. Boeing still hasn't figured out whether the 1st and 2nd pre-production units (SLS-1 &-2) will be able to be built as planned. 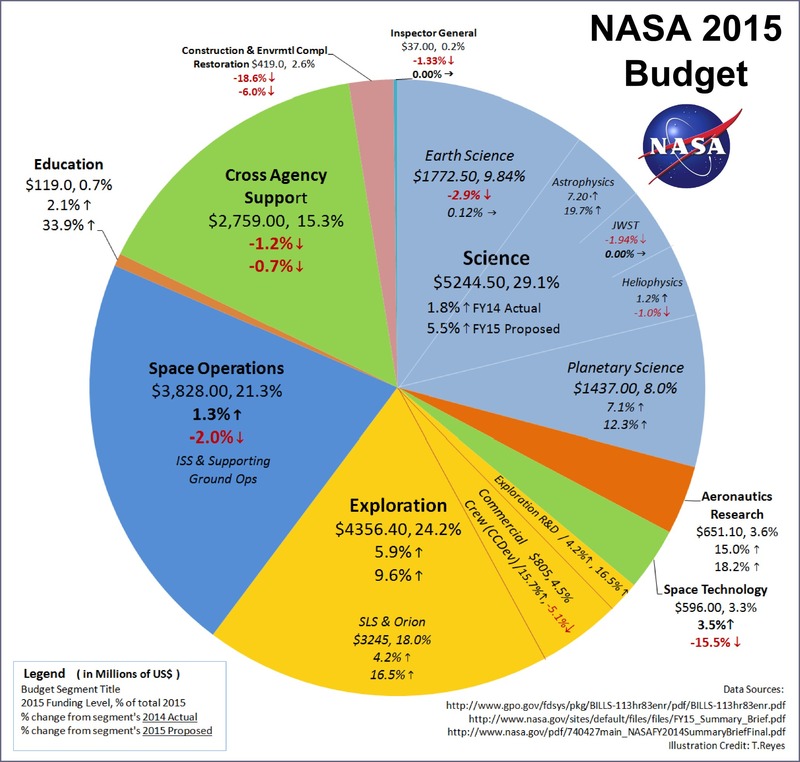 As to numbers from "NASA", NASA used to claim low marginal costs for the Shuttle, but now know at the end of the program that each flight cost $1.2B without development factored in. Which is why public facts are the only numbers that can be trusted. This isn't the first time anyone has designed a launch vehicle like this. NLS-1 made it through PDR, and a lot of information is available publicly. When you talk about "marginal cost", that is for production SLS units. And so far not even a development or pre-production SLS has been built, much less flown. The NLS-1, which never made it into production, was based on the Shuttle External Tank (ET), and the SLS 1st stage is a different design from the ET and 3.2X more mass. The last contract I could find on the cost of the ET showed that it cost $173M/ea back in 2010 when procured in quantities of at least 17 units. So if the SLS 1st stage cost 3.2X the Shuttle ET that would be $554M/ea - no engines or other accessories. Of course that ignores a likely difference in contract quantity, since I doubt Congress will allow NASA to buy 17 production SLS 1st stages right away (meaning no volume cost breaks). But it could be argued that the SLS 1st stage will require less than 3.2X the amount of labor, and that the $/lb of the raw material is less expensive than the Shuttle ET (the cost of AL has fluctuated up and down 20% since 2010). Lots of factors, but few facts about the production version of the SLS - because NASA and Boeing haven't built any SLS yet, so they don't know what a successfully built SLS consists of. Even the ESD Integration estimates were based directly on Shuttle and Ares; it straight-up says so in the document, and the fact that the estimated fixed cost is very similar to that of the J-246 would seem to back this up. To exactly which document do you refer? If to "ESD Integration; Budget Availability Scenarios" dated 19 August 2011 (attached to this post), where does the statement appear? The increase or decrease in the total cost of a production run for making one additional unit of an item. It is computed in situations where the break-even point has been reached: the fixed costs have already been absorbed by the already produced items and only the direct (variable) costs have to be accounted for. Expenditure incurred in producing one unit of a good or service, computed usually as average cost. Marginal costs are a tricky thing. It should be a constant value. But sometimes it varies as the capabilities of production are reached and another production line must be added to produce the next unit. This makes the Marginal cost value sometimes pop up with a large value between the consecutive numbers of items to be built. What I am saying is that going from 1 per year to 2 per year is not very significant in that no new equipment or lines are required just more people (incremental cost) no additional overhead cost (fixed cost). But going from 2 to 3 per year there is significant overhead costs (fixed costs) that must be added when the additional set of tooling is added, almost the same costs as that to produce 1 per year. Because some tooling may not need a second set this increase is not exactly the same but some percentage of the total. Meaning that the marginal cost going from 2 to 3 per year is much greater than the marginal cost of going from 1 to 2. If the production line is set up correctly then the Unit costs should decrease in an exponential rate as more units a fixed incremental cost are produced for the set fixed costs. Also these incremental costs may themselves be affected by the number of produced items by making the personnel more efficient at producing items thereby additionally lowering the Incremental and the resulting Unit costs even more. But what I am saying is the SLS is not this case, and any attempt to predict costs are going to be a very rough estimate and most likely to be wrong by even as much as a factor of 2. 1) For going from 1 to 2 the fixed costs are the same and the incremental cost per unit is the same so the marginal cost is equal to the incremental cost. 2) For going from 2 to 3 the fixed costs increase by 50-80% but the incremental costs are the same. So the marginal cost for going from 2 to 3 is the 50-80% increase in fixed cost plus an incremental cost. 3) Going from 3 to 4 is the same marginal cost value as that for going from 1 to 2. What this does is the average cost (Unit cost) fluctuates up and down and does not follow a nice exponential curve. ISTM a lot depends on how much slack exists in the nominal schedules of the various production tools, and whether there are opportunities for the upstream tools to "get ahead" a bit without creating a congestion in the flow of parts. For example, in August Jason Davis of The Planetary Society photographed the Gore Weld Tool, where an EM-1 flight article tank dome was being welded. NASA used to claim low marginal costs for the Shuttle, but now know at the end of the program that each flight cost $1.2B without development factored in. Apples to oranges. The $1.2B number is the whole program's cost in modern dollars (minus development) divided by the flight rate. It thus includes not only fixed costs during operational years, but also the costs incurred while the program was grounded after Challenger and Columbia. And I'm pretty sure it includes SFS and ongoing development too. This is not in the least comparable to anything deserving of the name "marginal cost". Even back before STS was developed, when they still had high hopes for the idea, they managed to nail the marginal cost within a factor of two; what killed them was fixed cost divided by flight rate. After 30 years of experience with running STS, and even more with various expendables, the economics of a Shuttle-derived inline launcher are much better understood than the economics of running STS were back in the early 1970s. When you talk about "marginal cost", that is for production SLS units. And so far not even a development or pre-production SLS has been built, much less flown. Yes, but estimates for the cost of such a system, based on the old technology, exist. And at multiple flight rates, so a marginal cost can be calculated directly from the given data. I have shown this. Can you show me that it is plausible that the marginal cost of increasing the SLS production rate from one unit per year to two units per year could increase from ~$350M or so to ~$1000M, given the known scope of the changes? I doubt it. The last contract I could find on the cost of the ET showed that it cost $173M/ea back in 2010 when procured in quantities of at least 17 units. So if the SLS 1st stage cost 3.2X the Shuttle ET that would be $554M/ea - no engines or other accessories. Apples to oranges again. We were discussing marginal costs associated with changes in flight rate, not a particular component's share of the total recurring costs. I may have overstated the clarity of the statement somewhat; how would you interpret this? Thank you. That's not actually a problem in this case, since the discussion has been centered on changes in flight rate within the known limits of the production equipment and launch facilities. I did acknowledge that the tooling maxes out at two per year (launch can do three, so you can bank cores for a surge), and I did mention the bump up on DIRECT's EELV charts at the point where the factory maxes out (I figured the implications for SLS as built were pretty clear). I think the maximum production stated by NASA is by using the current or existing workforce. I think more can be made per year IF they ramp up production by adding extra shifts, and or weekend shifts. They were able to producte what, 4-6 Saturn V cores per year. Why not produce the same SLS cores. Surely they can produce more solid cores than two per year or even 4 per year. How long did it take them to produce 1,000 Minutemen's in the 1960's? 4-5 years? Not really. The plant was designed from the get go with a certain amount of production in mind. Tooling, processes and procedures don’t scale the same efficiency at every production rate. The short to make more of something you may need to change tooling to tooling supportive of that production rate. Processes and procedures likewise. Otherwise just simply adding more tools and adding more people will not dropping per unit costs all that much. An good example is me attempting to bake ten cakes in my kitchen vs. an bakery or an commercial kitchen. My oven will only fit 3 at an time. An bakery or commercial kitchen could have larger ovens or block long ovens that bake the cake as it travels along the line.(i.e. Tooling). I could not lift or bake ten cakes worth of batter, if I had it. I would have to break it up into batches and that would slow me down considerably. An bakery could use an hoist to lift into a batter measuring machine(Process). Given enough time and money, anything is possible. Not really. The plant was designed from the get go with a certain amount of production in mind. Tooling, processes and procedures don’t scale the same efficiency at every production rate. Factories cost money, and everything in them has a cost. So Boeing was only asked to build a factory that met NASA's requirements, which apparently was a minimum of one per year with the ability with additional NASA funding to increase to two per year. To go above two per year depends on the tooling and various work centers. I've done capacity planning for a high volume consumer electronics factory, and it's not alway simple reasons why a work center can't scale easily, especially when what you're doing is "state of the art". And not all of the constraints are in your factory, it could be the constraint is with your supply chain (like Boeing experienced with fasteners for the 787). Out of the six "substantial" welding tools for the cryogenic core stage on SLS, some of them might already have plenty of available capacity to go above 2/year, but that one particular tool (like maybe the Vertical Assembly Center) is the bottleneck. We would need to know throughput time for each center to better understand the constraints, but even the proposed Mars plan doesn't need more than two per year until the late 2020's, so this is not a near-term need. Someone said, somewhere here, that when facility to manufacture Saturn V 1st and 2nd stages were for 6 Saturn V's per year. So, the facility can at least do 6. So, can ATK manufacture 12 solid boosters a year to match? If they want to get serious about going to Mars, they will have to manufacture more than two per year, even if you only went to Mars every two years. The VAB can process at least 4 at a time. It has 4 bays. They would have to build at least 4 platforms. I guess if they are going to Mars using SLS, they are probably going to have to use other launchers to launch components, fuel, SEP tugs, habitats, or something to LEO or to L2 and assemble to go to Mars. More SLS launches would equal less in space assembly.